Whitianga is an established tourist resort on the Coromandel peninsula of New Zealand that enjoys spectacular coastline dotted with islands and relatively sheltered waters perfect for fishing and diving. Whitianga & Mercury Bay – just two and a half hours from Auckland, via Thames and Tairua. Whitianga is located on the east coast of the Coromandel Peninsula and is Mercury Bay's main town. 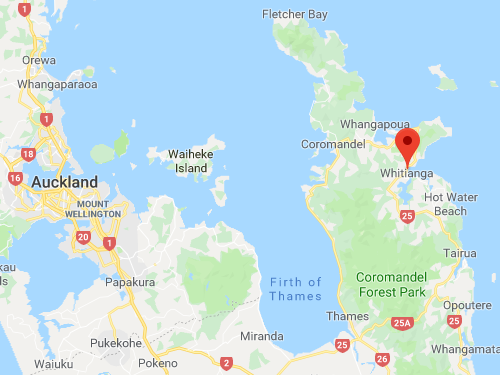 Whitianga has attracted visitors for more than a thousand years, since Maori explorer Kupe first settled here around 950A.D, but it was Captain James Cook who gave the area its name, when he anchored in the bay in 1769 to observe the transit of Mercury. Now an established tourist resort, the Bay's spectacular coastline is dotted with islands and its relatively sheltered waters are perfect for all water sports. There are a large range of activities to enjoy. Buffalo Beach is named after the H.M.S. Buffalo wrecked here in 1840. This beach offers safe swimming, plus good fishing and shellfish collecting. Further north is Wharekaho Beach, also known as Simpsons Beach, where the areas main Maori Pa was located. Whitianga Wharf - the centre for boating and fishing activity, where you can take the passenger ferry to Ferry Landing and Flaxmill Bay or the shuttle to Cooks Beach, Hahei, Hot Water Beach and Cathedral Cove. Mercury Bay Museum is located in the old Dairy Factory – the museum offers fascinating relics from the areas past and has an excellent award winning fishing exhibit that is well worth checking out. Whitianga's selection of accommodation options are vast with an array of choices. Restaurants in Whitianga offer casual, outdoor dining with first-class restaurants and friendly pubs and cafes. Surrounded by beaches, rivers, native bush and a national marine reserve, the Whitianga region offers an amazing range of activities and adventures in beautiful natural settings. The Coromandel is where Kiwis go on holiday! Renowned wordwide for its natural beauty - misty rainforests and pristine golden beaches, the Coromandel is blessed with hundreds of natural hideaways, making it an ideal place to slow down, relax and unwind. 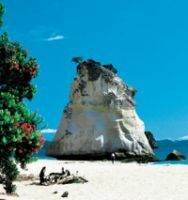 Accessible only on foot or by boat, famous Cathedral Cove is one of the “must visit” sites on the Coromandel Peninsula. The track begins at the northern end of Hahei. Cathedral Cove Marine Reserve, Te Whanganui- A-Hei, covers 9 square kilometres and is New Zealand’s sixth marine reserve. It is administered by the Department of Conservation. This site was chosen for a marine reserve because of the rich and varied habitats associated with the coastline and outlying islands. Reefs of hard rock, soft sediments, intricate caves and underwater arches provide homes for complex communities of plants, crustaceans, molluscs and fish. Sheltered from the worst of the southerly winds Te Whanganui-A-Hei gives visitors an opportunity to learn from and enjoy an unspoiled marine environment. There are several scenic tracks on land adjacent to the reserve, including the 2hr return walk to Cathedral Cove track, which gives access to Gemstone Bay, Mares Leg and Cathedral Cove. Foot access to the Cathedral Cove car park is at the western end of Hahei Beach and vehicle access is up Grange Road (turn left past shops and go all the way to end of Grange Road). From the lookout of this attractive beach (named after the Maori Chief Hei), Hahei has access to Cathedral Cove and the Marine Reserve. Some volcanoes develop huge underground reservoirs of superheated water. Over time, this water will escape to the surface — cooling on the way. There are two fissures at Hot Water Beach issuing water as hot as 64˚C (147˚F) at a rate as high as 15 litres/minute. This water contains large amounts of salt (NOT salt water), calcium, magnesium, potassium, fluorine, bromine and silica. There are other hot water springs nearby but the location of these two springs on the beach make them unique. The hot springs are only accessible at low tide, however more often than not two hours each side of low tide, will still provide you with an opportunity to dig your own spa. Spades are available for hire at a local store. Flanked by Shakespeare Cliff to the west and the picnic spot of Purangi River to the east, this is a popular visitor destination. Explore Cooks Beach. Once a thriving gold mining town, Kuaotunu offers a good beach, fishing and access - via the famous Black Jack Road - to the picturesque white sand beaches of Otama and Opito. There is an i-Site Information Centre at 66 Albert Street, Whitianga, Phone: (07) 866 5555. We hope you have a chance to visit some of these beautiful locations around Whitianga, and here are some great ways of getting around Whitianga and Mercury Bay. 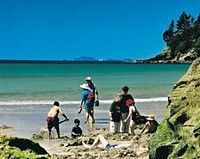 For more Whitianga information visit All About Whitianga. 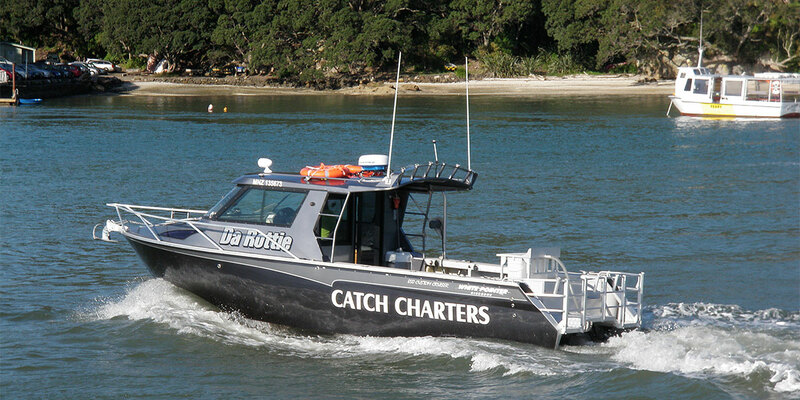 Skipper Mike Hanham has been operating boats and fishing the NZ coastline for over 30 years.